Nepal Tour is the wonderful leisure holiday trip to Nepal. It’s a fact that Nepal is not only the travel destination for trekking and adventure trips. Here are many numbers of cultural heritage, national parks, and panoramic places with beautiful lakes, rivers, caves etc. In Nepal Tour, you explore these cultural and natural sites in a relaxed way by the drive. 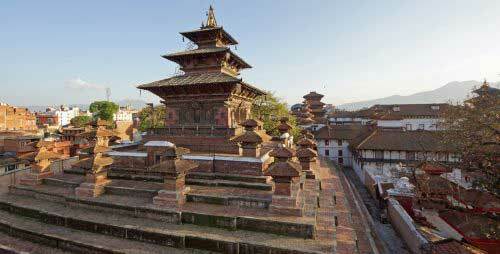 It’s amazing that Nepal has ten World Heritage Sites. UNESCO, the sister organization of United Nations, designated it to those places because of their cultural values with the unique historical background. 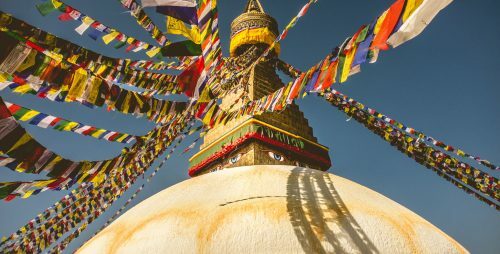 The major destinations that you explore in Nepal Tour are Kathmandu, Pokhara, Chitwan National Park, Lumbini, Janakpur, Ilam, Bandipur, Gorkha, Nagarkot, Dhulikhel, and Daman. Kathmandu is the capital and also the business centre of Nepal. Apart from this, it is also known as the city of temples. Here inside the core area, you meet the different style of temples after every few minutes of walking which are related either to Hinduism or Buddhism. 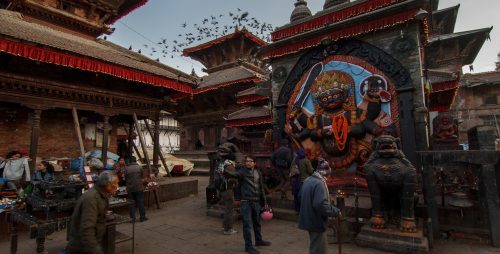 In Kathmandu, the prominent travel places are Swoyambhunath, Boudhanath, Pashupatinath, Kathmandu Durbar Square, Narayanhiti Royal Palace, Dreams of Garden and Thamel. 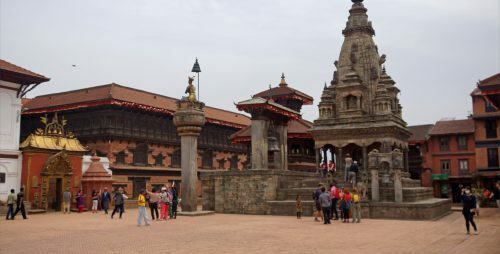 Around Kathmandu City, there are also two cities: Bhaktapur and Patan. It’s important to visit there to see the medieval period Nepalese art, architecture and cultural heritage. 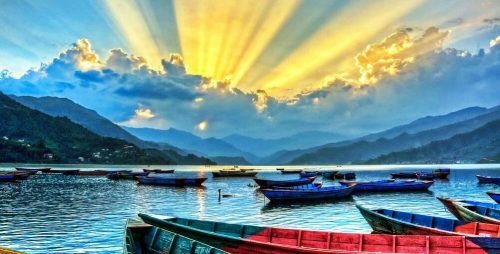 Likewise, Pokhara is a beautiful city on the backdrop of Annapurna Himalaya Range. It’s the paradise for nature lovers. Here you can boat on the serene Fewa Lake, go inside massive natural caves, visit different museums, engage in the activities like paragliding, bungee jump, zip flying, ultralight flight, and short hiking. 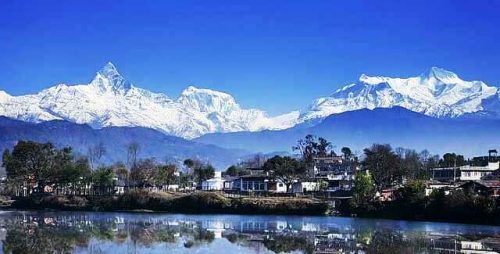 Pokhara is 200 km of drive distance from Kathmandu. Chitwan National Park is one of Asia’s well-protected zones. It is the home of many endangered mammals and birds. 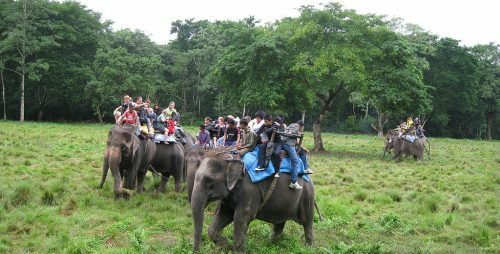 In Chitwan you go for elephant-back safari to encounter rhinos, tigers and other animals, canoeing to see gharial crocodiles, forest walk for bird watching and discover a different type of plants and trees, jeep safari to visit crocodile breeding centre and also to visit elephant breeding centre. Similarly, Lumbini is the birthplace of Buddha. Here you explore Buddhist archaeological sites and the monasteries built in different structures. Janakpur is another religious site, the birthplace of Janaki (the wife of Lord Ram). Here you do sightseeing of Janaki Temple. Bandipur is a beautiful village on the top of the hillock. It is famous for Newari style houses and Himalayan Views. Gorkha is a historical city, previously was a state. The King of this state formed this present Nepal. Nagarkot, Dhulikhel, and Daman are popular hill stations for the Himalayan vista as well as for the view of Sunset and Sunrise. Furthermore, Ilam is the lovely tea state zone located in eastern Nepal. Here, on our website, you can find various ready-made Nepal Tour Packages including above-mentioned places. If these tours do not suit your interest and time frame, please feel free to tell us your specific needs and travel days. Our tour desk officer will help you to tailor made perfect Nepal Travel package meeting your requirements. We always prioritize first the client’s interest and move ahead accordingly.